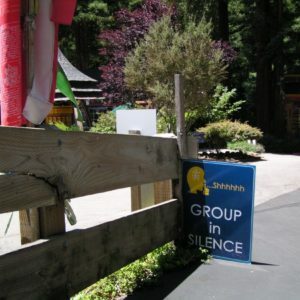 → The center is closed to day visitors on Saturdays. 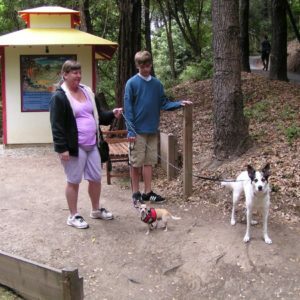 → Dogs must stay on leash. 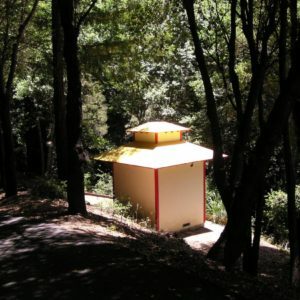 See full text of The Eight Verses of Thought Transformation below. 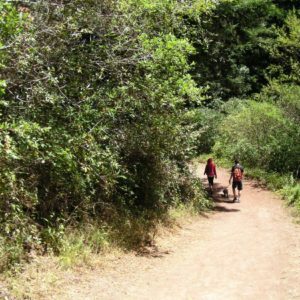 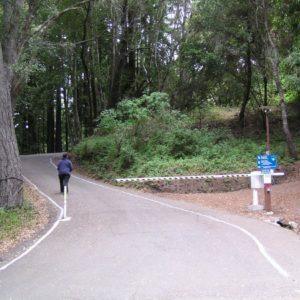 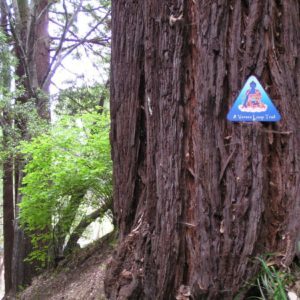 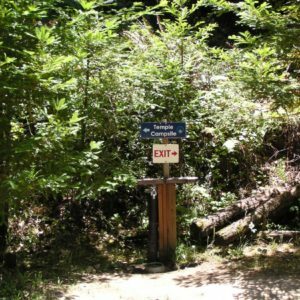 Winding through a California redwood forest, Land of Medicine Buddha’s Eight Verses Pilgrimage Trail offers people the opportunity to meditate on thought transformation in a peaceful and picturesque outdoor setting. 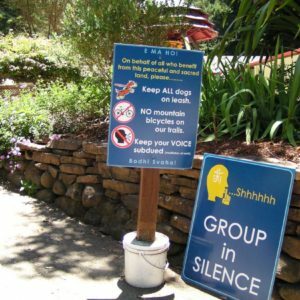 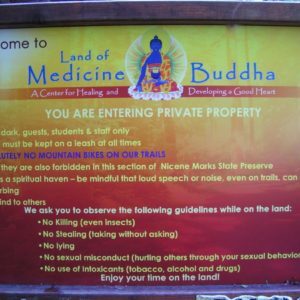 Several years ago, Lama Zopa Rinpoche encouraged LMB to offer visitors teachings by hanging signs with Dharma quotes on the trees. 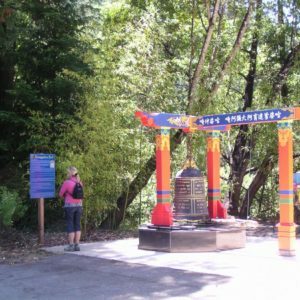 LMB has always been a popular place for Dharma students and local hikers alike, so we used our most popular loop trail for this offering of the dharma. 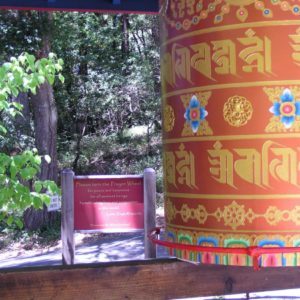 We use the Eight Verses of Thought Transformation by Langri Tangpa to create eight beautiful signs, complete with the verse and a brief but informative commentary by His Holiness the Dalai Lama, to help people understand the meaning of the verse and meditate on it properly. 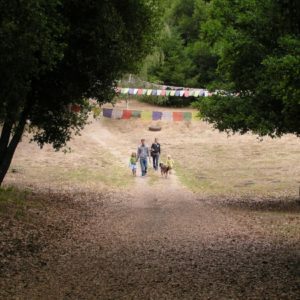 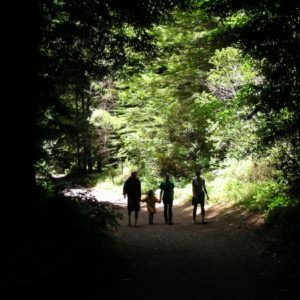 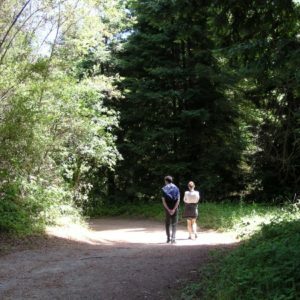 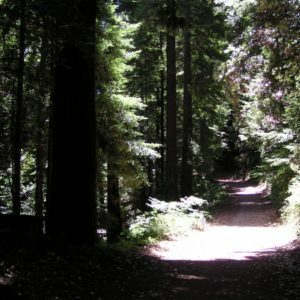 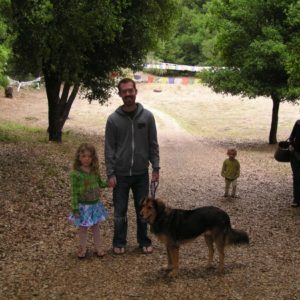 Each verse is spaced throughout a 15 to 20 minute walk that begins in a beautiful, sunny meadow and meanders through the redwood forest. 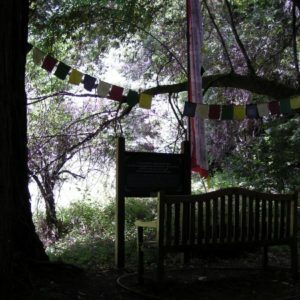 The verse is accompanied by a beautiful teak wood bench to sit, relax, and contemplate; the area will also be beautifully landscaped. 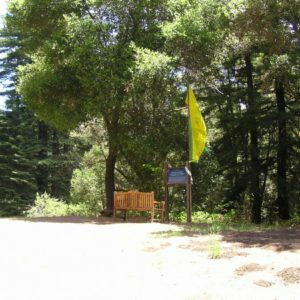 Each verse and bench has been offered by kind sponsors who have been honored with a brass plaque attached to the specific verse or bench they have sponsored. 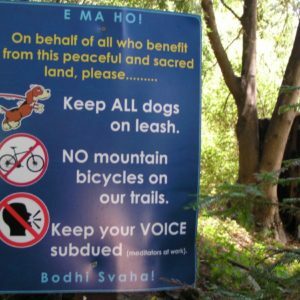 The Eight Verses Pilgrimage Trail has already begun to transform minds. 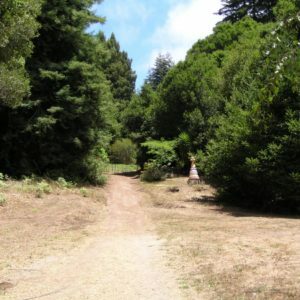 On the first weekend the trail opened, a local resident came for a walk. 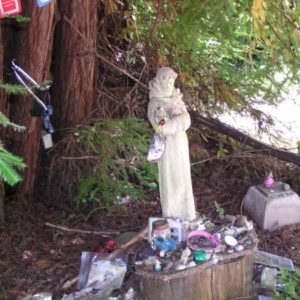 She was very angry with the American government and President Bush, so angry that she had the thought “why doesn’t someone just kill him?” At that moment, she came upon Verse 3, “Vigilant, the moment a delusion appears in my mind, endangering myself and others, I shall confront it without delay.” She realized that she had been thinking harmfully and needed to transform her mind. 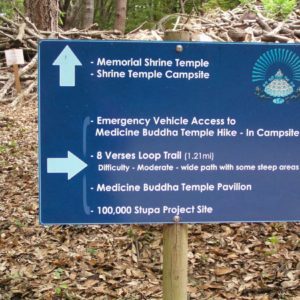 The Eight Verses Pilgrimage Trail is open to the public during daylight hours. 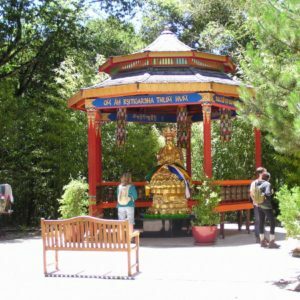 Come experience the beneficial effects of these holy teachings in a beautiful natural setting.